Your trivia for this weekend's event at Symmons Plains. 1. Red Bull RacingAustralia's Craig Lowndes leads the V8 Supercars Championship by 12 points overteammate Jamie Whincup – but it's the team's record at Symmons Plains thatshould also have their rivals nervy heading into Races 3, 4 and 5. The duo have combined towin nine of the last 14 races at the Tasmanian circuit since 2007 with Whincupscooping eight and Lowndes one. 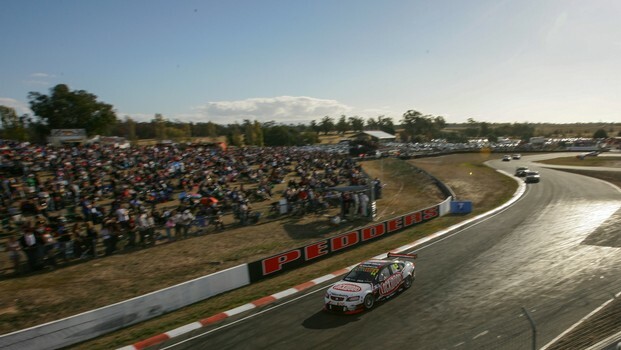 Whincup has won morechampionship races at Symmons Plains than any other drivers, his eight racewins moving him clear of Peter Brock and Garth Tander on seven apiece. 2. This year is the 41sttime the Australian Touring Car Championship/V8 Supercars Championship hasvisited the Symmons Plains circuit in Tasmania – only Sandown in Melbourne hashosted the ATCC/V8SC on more occasions (43). The championship firstvisited Symmons Plains in 1969 and ran every year through to 1999 beforereturning from 2004 onwards. Hall of Famer NormBeechey won the first ATCC race at Symmons Plains in a Holden Monaro GTS 327 in1969 by just 0.3s over Alan Hamilton's Porsche 911S. 3. Since the Clipsal 500,Kiwis Fabian Coulthard and Scott McLaughlin have racked up their first V8Supercar race wins – albeit non-championship victories at the showcase event atthe Formula 1 Rolex Australian Grand Prix at Albert Park. However, both drivershave contrasting histories at the Symmons Plains circuit. Coulthard took his only(so far!) V8 Supercars Championship podium finish at the venue back in 2009 andwill line up for his sixth appearance on the 'Apple Isle' in 2013, whileMcLaughlin has never seen the 2.4-kilometre circuit – let alone driven on it! The 19-year-old sitssixth in the V8 Supercars Championship points after a sparkling full-time debutat the Clipsal 500. 4. The new '60/60' SuperSprint format will make its debut at Symmons Plains and so too will thedouble-file rolling restart. The 60/60 format will beused on Saturday with drivers to race for 25 laps before a half time break. The cars will line backup in the running order as of the end of the first half in double file for arolling restart and another 25 laps of racing will follow. The order across the lineat the end of the second half is the finishing order of Race 3 and championshippoints will be applied to that finishing order. 5. Supercheap AutoRacing's Russell Ingall will make his 221st Australian Touring CarChampionship/V8 Supercars Championship event start at Symmons Plains, movinghim to second overall on the all-time starts list. Ingall now moves pastMark Skaife and is second only to Hall of Famer John Bowe on the list. 'The Enforcer' won theSymmons Plains round back in 2004 and sits fourth in the V8 SupercarsChampionship after the Clipsal 500. The last time Ingallfinished fourth or higher in the championship was in his 2005 title-winningseason. 6. The tight nature ofthe Symmons Plains circuit and closeness of the cars generally means theappearance of the Pedders STP Safety Car is highly likely at some stage. Since the V8 SupercarsChampionship returned to the circuit in 2004, 69.5% of races have seen theappearance of the Safety Car. In that time there hasnot been a year where the Safety Car didn't appear in at least one of the racesover a weekend. 7. Nissan will make itsfirst ATCC/V8SC appearance at Symmons Plains since 1992 at a track that holdsgreat history for the Japanese manufacturer. George Fury won the 1987round in a Nissan Skyline DR30 (and also took pole position in 1986), while JimRichards won in 1991 from pole position aboard the mighty Nissan GT-R. The best performingNissan Altima in the 2013 V8 Supercars Championship is Rick Kelly, who sits11th in the points after the Clipsal 500. The 2006 V8 Supercarchampion hasn't had much luck in Tasmania in recent years though – he hasn'tfinished in the top 10 in a race there since 2008. 8. Fujitsu Racing GRM'sAlexandre Premat will celebrate his 31st birthday during Friday practice (April5) at the Tasmania Microsoft Office 365. The Frenchman enjoyed astrong Clipsal 500, finishing fourth in the Saturday race before power steeringproblems sidelined him on the Sunday. The Tasmanian event wasone of his best last year, finishing 17th and 13th in the pair of races. He currently sits 13th inthe V8 Supercars Championship pointscore. Blanchard and Pye haveboth raced Formula Fords previously at Symmons Plains – Blanchard finishedthird in the 2007 round, while Pye finished third in 2009. 10. The Holden RacingTeam's James Courtney is fifth in the V8 Supercars Championship after theClipsal 500 – and that also remains his best race finishing result at SymmonsPlains. Courtney finished fifthin his very first V8 Supercar race at Symmons Plains in 2006 with StoneBrothers Racing – and in 16 races there since he hasn't been able to match it! Last year Courtneyfinished 18th and 8th in the pair of Symmons Plains races. Helast qualified in the top 10 at the circuit in 2009.